There have been various books written about the Vulcan telling in great detail the operation of the aircraft and maybe a little bit about the early years. 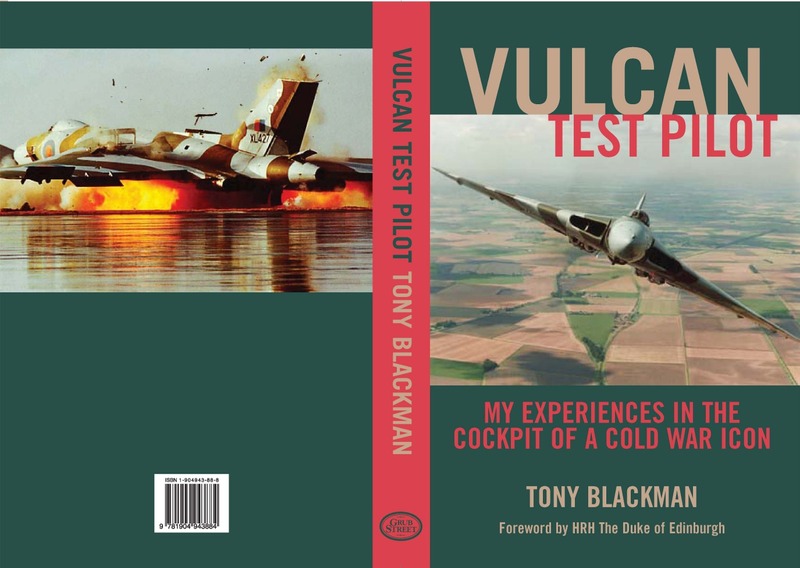 However, as far as I know there has never been a book written about test flying the Vulcan by someone who was actually there at the time doing a lot of the flight testing. The aerodynamic shape of the Vulcan had some unusual flying characteristics which needed to be dealt with; its relatively benign flying qualities didn’t happen by accident! This book explains how the aircraft was made to work and be safe to fly. The book does not aim to be a technical primer or a flight by flight tale of test flying, though I have added one or two flight test records to give the reader a feel of how it was done and also some graphs of the measurements I helped to make before the first Vulcan was delivered to the Royal Air Force. The book is mainly for people not particularly associated with the Vulcan, though it is hoped that the aficionados will enjoy having their memories jogged. I have tried to explain some of the more complicated aeronautical expressions and included a Glossary to help readers who are not familiar with the jargon. I have done this because the Vulcan is a UK icon and I want as many people as possible to appreciate the work that went into developing the aircraft. It has captured the imagination of the whole country and represents what this country can achieve when it sets its mind to it. I make no apologies for the personal stories which I tell because I want people to be able to feel as I did when I flew the aircraft, experience the excitement of handling an incredibly powerful machine and knowing that you have to be in charge all the time because accidents could and did happen.